The game starts by throwing you into a fight as Spartacus himself, and this acts as the tutorial. You learn all of the basic moves and end with a gruesome execution, which saw Spartacus vertically slice his opponents face off. After this fight though, you are kicked back to square one. You start with a basic fighter, with no armour and the weakest sword and shield. If you win a few fights, you will earn money and fame, allowing you to kit out your fighter, earn access to bigger events and even buy more fighters. It's a good system of progression, but you will find yourself having to repeat the same fight over and over to build up enough cash for some better armour and weapons. If you don't upgrade, you won't get very far at all. After you complete a fight, it will be unavailable to try again for a short time. These time delays are what a heavy percentage of F2P games rely on, to encourage some actual money spending from the player, as the only other way to improve your armour and weapons is to buy them. So if you don't like waiting for the levels to be available again in order to level up, you'll have to spend real cash to improve. The fighting itself is quite realistic compared to the most popular fighters, such as Tekken and Street Fighter. It doesn't rely on extended combos, but more on blocking at the right time and getting a few good hits in while you can. Realism isn't necessarily a good thing though, as it leads to a slower paced game. The fighting is quite fun for a while, but is very basic, and the characters feel very sluggish. 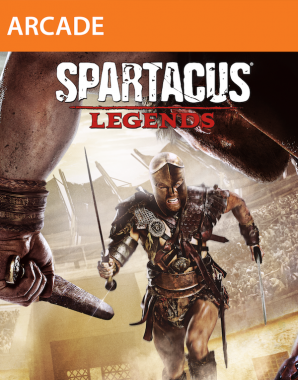 The graphics of Spartacus Legends are quite impressive for a free game, but look a bit dated compared to some modern titles. They have a sort of soft-focus look to them, which instantly reminded me of The Elder Scrolls IV: Oblivion. Not a bad looking game at all when it released, but not so amazing these days. The character models look quite good, and at the end of each fight you'll often see cuts and scars on them, and there'll be a lot of blood all over the arena. It's a very gory game, and the execution moves take this to the next level. 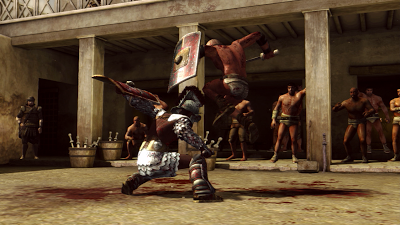 If you fight well, the crowd will begin to cheer in your favour, and if you get them to full excitement by the end of the fight, you are given the opportunity to pull off an execution on your enemy. These usually consist of various limbs being severed, or the aforementioned face-slice. They're all super cool to watch, and it's a nice reward for fighting well. Spartacus Legends is not a bad game by any means, but at the end of the day it's F2P. This means that the technical quality is lower than paid-for games, and your progression will be limited unless you're willing to spend real cash. And in all honesty, I'm not sure if it's worth it. It's a very simple fighting game which excels in fighter customisation and definitely bloodshed, but not many other areas. Obviously, it's worth downloading. It's free, it's even fun for a few hours, and you may just love it, but I can't see many people shelling out to buy some armour when they can just wait and replay old events. 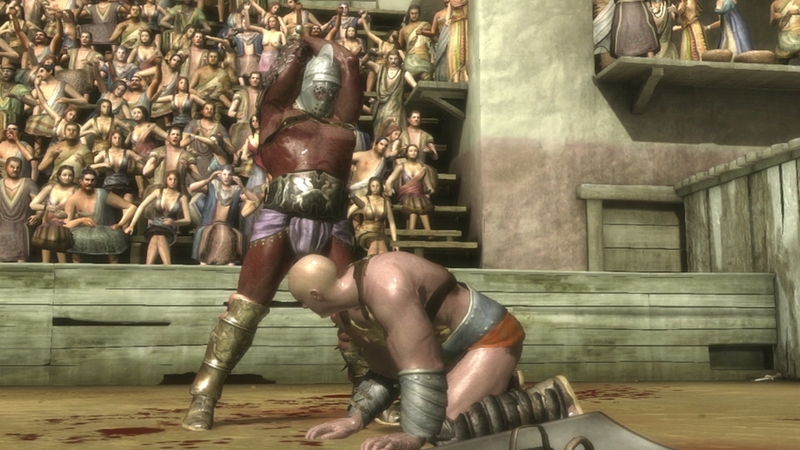 Maybe if they hadn't have chosen to use the F2P model on Spartacus Legends, they would have put a lot more resources into it, in order to make a polished, deep fighter, but it just isn't the case. There is no reason not to play the game, just don't have super high expectations.